Wishing all our faithful Marketgoers a Happy Thanksgiving! I already have Should-Have-Bought-More Remorse from the last Market of the season because I bought my first bottle of Finnriver's Blueberry Wine after sampling it, thinking I'd give it as a gift. Well, I didn't hold out, and busted into the bottle the next night. Man, oh man. Buy this next year! Rich and delicious, straight from the bottle, or so very good poured over vanilla ice cream. Since we didn't save it for my in-laws, whose house we're going to for Thanksgiving, we at least managed not to drink the whole bottle, so they could still try some! What I'm not sharing, however, is the bottle of hard pear cider I picked up the same day. All mine. In a skillet, combine the honey and lemon juice and bring to a simmer over medium heat. Add the apples and cook 14 minutes or until almost tender, stirring from time to time. Set aside. Beat butter, sugars, and vanilla with mixer until well-blended. Add eggs and lemon juice and beat well. Mix dry ingredients and add gradually to butter mixture, beating at low speed until blended. Spread batter in pan. Remove apples from skillet with slotted spoon and arrange in a spoke-like patter in batter. Combine topping ingredients and sprinkle over. Bake for one hour until cake is browned and springs back lightly to touch. Cool in pan on wire rack. Cut in wedges using a serrated knife. I made the cake a day ahead and refrigerated, letting it come to room temperature again before I served it. No one complained. No one, that is, except my kids, who weren't allowed to have a piece. I'll keep this post brief, since I hope you'll all be off cooking. So discouraging to be in Trader Joe's yesterday (buying breakfast cereal, the expensive, processed-food bane of my existence) and to see everyone in line with their packaged, pre-fab Thanksgiving foods. Come on, everyone! This is the ONE real food holiday of the year, the time to make it from scratch, if ever. Put down the assembly-line pies and stuffing mixes and gravy boxes, the vegetables washed and chopped in their non-recyclable plastic bags. Try one recipe this year. You won't regret it. You wouldn't know it from the decorations up in the stores or the songs on the radio, but the Forgotten Holiday is almost upon us. Take a seat, Santa--it's time to talk Turkey. 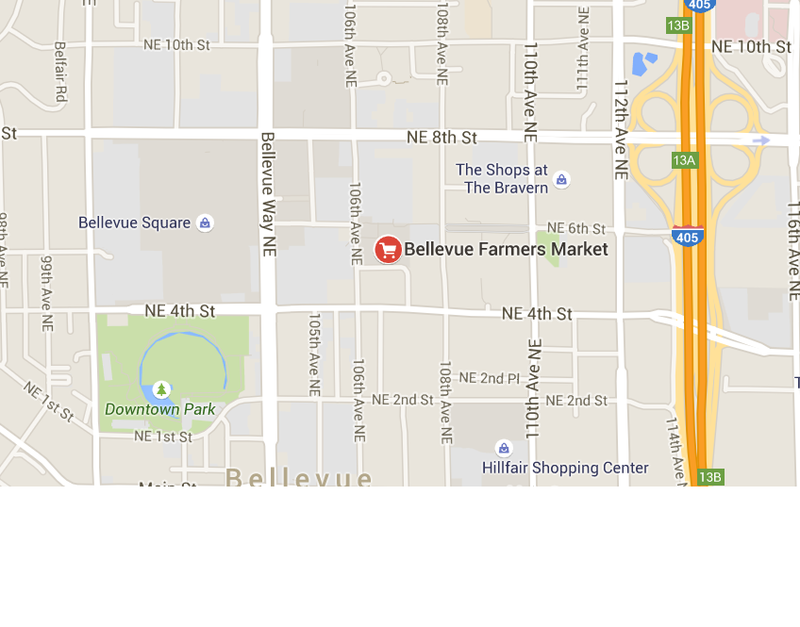 This Saturday will be the final Bellevue Farmers Market of the Season (chorus of waaaaaahs! ), and it's chock-full of goodies for your holiday and beyond. 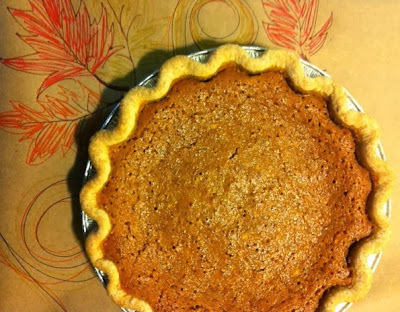 Never mind the Twelve Days of Christmas--tell your true love you've got some Thanksgiving Market Must-Haves. 1. Vegetables. Thanksgiving has the most wonderful variety of vegetable side dishes, and we've got the fresh, local vegetables to make them happen. Potatoes. Carrots. Squash. Onions. Brussels sprouts. Both Martin Family Orchards and Collins Family Orchard have got the apples for your homemade pies, this season. Talk to the farmers about which varieties they recommend. Some people like their apple slices intact with a little crunch, even after baking. My family prefers no crunch at all. And just for eating out of hand, try the Packham pears at Collins. I am not kidding--don't let these get away. We ate them with groans of utter delight. 3. Cranberries! For your sauce or to throw in your pies or to frost with sugar syrup and serve as a beautiful holiday appetizer. Ask nicely at Bloom Creek, and they'll give you a handout of tasty, easy recipes. 4. Don't feel like making your own cranberry sauce? Camp Robber Jams has plenty of alternative jams and spreads. Rome Doherty has whipped up Cranberry-Jalapeno Jam, Cranberry-Apple Butter and Cranberry Chutney to accompany turkey, all made with Bloom Creek berries. Or, for the less traditional barbecued turkey, he suggests Smoked Apple Butter with Chili! 5. Speaking of things you might not feel brave enough to undertake, remember the Market has handmade pies and tarts and pastries. 6. Or first-course soups made from perfect ingredients! According to Got Soup? 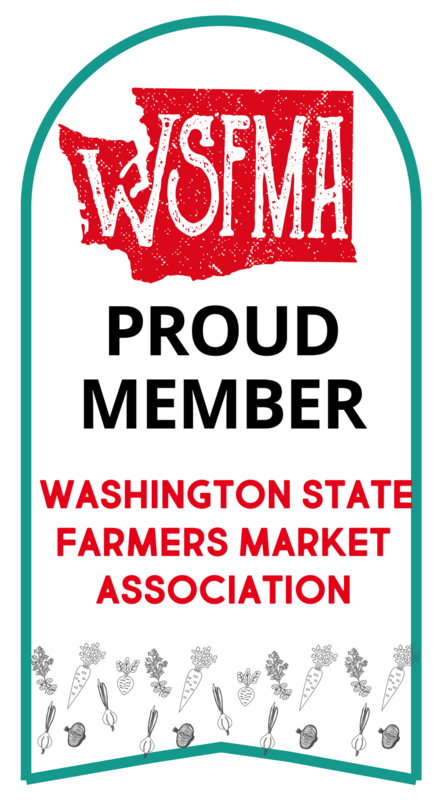 's website, this week Jerry will be carrying a mouth-watering Potato and Kale with Smoked Gouda, among other offerings. 7. Thanksgiving wouldn't be Thanksgiving without any bread. Bread to accompany soup. Rolls to go with turkey (my kids especially love this). Bread for stuffing. 8. And finally, to wash all that goodness down, Ciders and Wines. 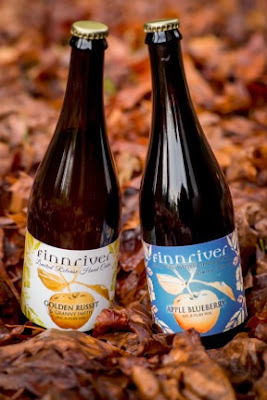 In Finnriver's own words, "The Apple Blueberry is made with Finnriver's own estate organic blueberries and antique Hewe's Crab apples, for a sparkling, ruby-colored blend of sweet berry field and earthy orchard. The Golden Russet release features the 'champagne' of cider apples for a bright, bubbly, off-dry, charismatic cider that will complement a holiday feast with its hearty taste and tribute to tradition." Oh my word. And for those who prefer wine and no bubbles, Wilridge Winery suggests their Estate Nebbiolo as the perfect complement to our Thanksgiving meal. According to their website, "The 2010 Naches Heights Estate Nebbiolo is the second from Wilridge Vineyard. 2010 was a challenging year for many Washington vineyards. However, some late warm weather in the fall favored those who were not afraid to leave the grapes hanging as long as possible. Nebbiolo loves a long cool growing season like 2010 where it has time to gain ripeness but also maintain acidity from cool nights. The result is a delightful wine that will gain complexity for many years to come." Since it's the Thanksgiving Holiday Market will be our last gathering of 2013, don't forget to put some goodies by as gifts and personal stockpiles. It's a long, long way to May. Last night, as the kids' swim meet was lightninged-and-rained out for the first time in living memory, following last week's meet where everyone huddled beneath umbrellas and blankets, shivering and drenched, it was tough to remember why exactly anyone chose to live in the Pacific Northwest. 1. Drought? What drought? We laugh at you, Drought! Wanna see this bigger? Go to the original site. That's right. Washington State is largely drought-free, apart from the corner where my in-laws live (and the family grows wheat). There, drought might be "developing." The next time the rain pours down on us--likely in the next few minutes--think about the glories and blessings of water. How bad can it get, if we can bundle up before a roaring, indoor gas fireplace, and pop pounds of these suckers? We have several more weeks of cherries still to go, so gorge yourself. I grew up on Bings, but this particular variety might be my favorite. 3. If we can't grill the salmon, we can buy it smoked or jerked! Something about rain showers puts the literal damper on grilling outside, but this past week my family has been enjoying smoked salmon from Loki. Just take it out of the package and warm it a little in foil in the oven, which you probably already have going because you were trying to warm up the house. Delish. We liked the jerked salmon, too. Great, protein-rich snack for rained-out swim meets. 4. Oysters love the Pacific Northwest, so it can't be all bad. A & K Shellfish of Dabob Bay has clams and Crassostrea gigas, also known as the Pacific Oyster, Japanese Oyster, or Miyagi Oyster (something to do with The Karate Kid, I'm betting--this oyster's flavor will knock your block off). 5. We don't have to drown our sorrows with bad liquor. As the ads for cheap beer and other mass-produced alcoholic beverages advise us, "Please drink responsibly."  But if you do imbibe occasionally, why not try the local, artisanal alternative? On Thursdays we have Rockridge Orchards' many varieties of soft and hard apple cider, including the "Bit O Bite" - apple with a dash of rhubarb! And on Saturdays the Market welcomes Finnriver, an organic family farm and artisan cidery near Port Townsend. These lovely folks are making wine and cider with everything from apples to blueberries to pears to currants. If you don't drink, the bottles are still beautiful to look at. 6. July 4 is around the corner, which means the sun'll come out tomorrow! An unretouched photo -- it HAS been sunny here! 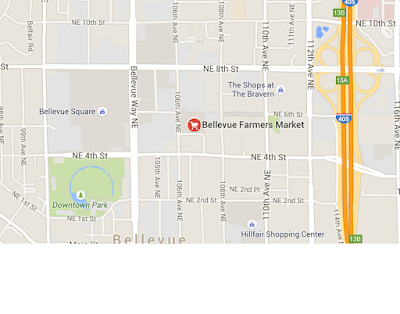 So dry out those socks and take comfort, and don't let a "little" rain stop you from coming out to our Market.